ATEM 1 M/E Production Studio 4K: Advanced 1 M/E live production switcher with DVE, stingers and 6G-SDI so you can work in SD, HD and Ultra HD! 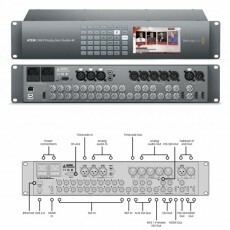 ATEM 2 M/E Broadcast Panel: Control panel for ATEM live production switchers. 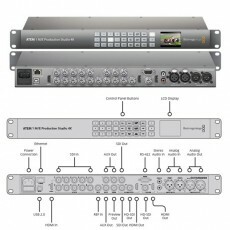 Supports all ATEM switchers. 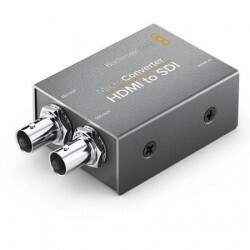 ATEM Camera Converter: Get everything you need for cameras in live production with a single converter! 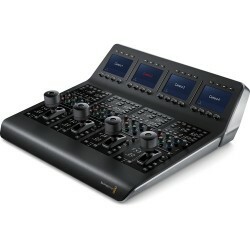 ATEM Production Studio 4K: The world's first Ultra HD 4K live production switcher! 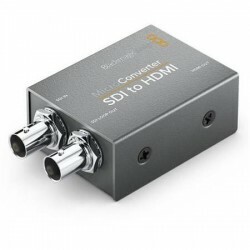 Features 6G-SDI in SD, HD and Ultra HD! 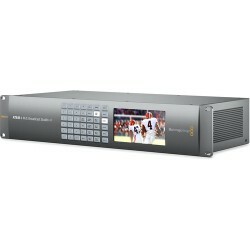 ATEM Studio Converter 2: is the ideal partner for the ATEM Camera Converter. 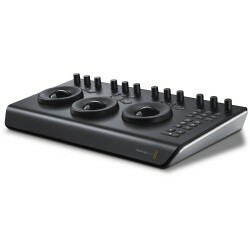 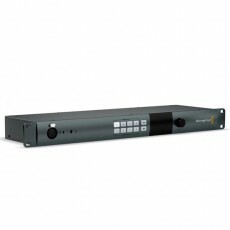 ATEM Talkback Converter 4K: Support talkback for up to 8 cameras for Blackmagic Studio Cameras. 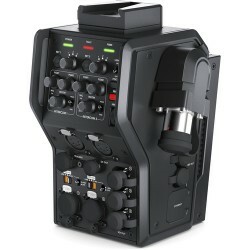 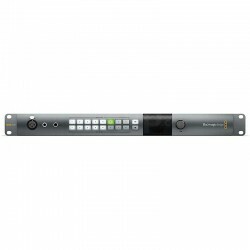 Includes 12G-SDI for all formats up to 2160p60, front panel mic and headset connections and more. 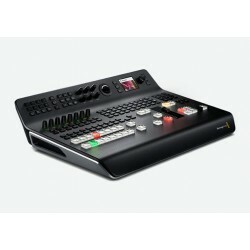 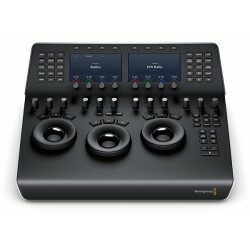 Blackmagic ATEM Television Studio Pro HD The world’s first all in one live production switcher for broadcast and AV professionals with integrated hardware control panel, 4 SDI and 4 HDMI inputs, DVE, keyers, talkback, multiview and more! 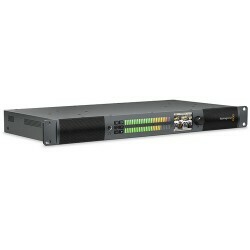 Breakout Cable for Intensity Pro: A replacement cable for Intensity Pro. 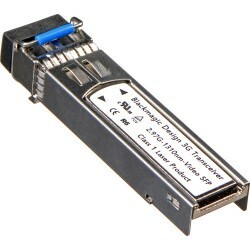 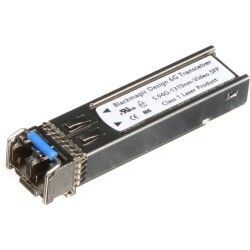 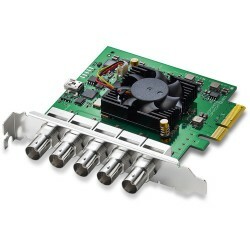 It features input and output connection for RCA component video and RCA audio. 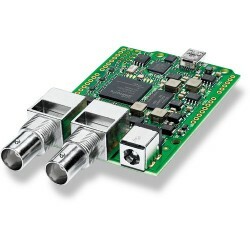 It also includes an RCA connection for SPDIF/AES output. 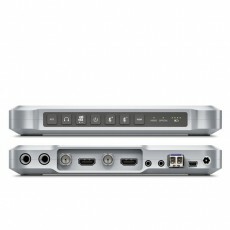 It is identical to the breakout cable that is included with the Intensity Pro. 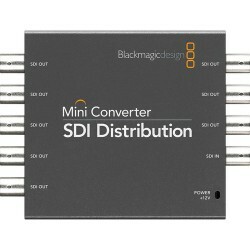 Mini Converter SDI Distribution Distribute to 8 x 3G-SDI outputs in all SD and HD formats up to 1080p60. 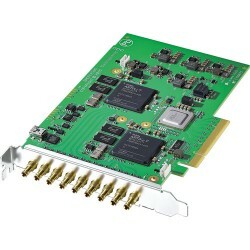 DeckLink 4K Extreme 12G: The ultimate digital cinema capture card featuring two full frame DCI 4K inputs and outputs via 12G-SDI!